Dr. Yezerski is a Dentist Anesthesiologist/General Dentist licensed to provide Deep Sedation and General Anesthesia by the Tennessee Dental Board and the Kentucky Board of Dentistry. He received his undergraduate degree in Biology from Samford University and his Doctorate of Dental Medicine from the University of Kentucky College of Dentistry. Dr. Yezerski completed three years of anesthesia training in the CODA approved Dental Anesthesia residency program at Stony Brook University Medical Center in New York. 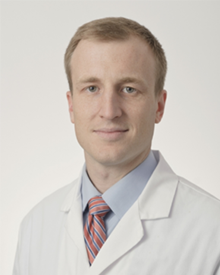 As Chief Resident of the Dental Anesthesia program, Dr. Yezerski completed rotations in Cardiology, Internal Medicine, Pediatric Medicine, Post-Anesthesia Care, and Office-Based Dental Anesthesia.